Many are ignoring the treatments and eye health. Often you suddenly realize that there is something wrong with your eyes. Here's what you need to be aware of. Take a look at some of these tips. Here you will find information on how to maintain the health of your eyes. Eye conditions can always change. This is because the eye always accept new things every day. Environmental conditions then affect the state and health of your eyes. You can not tell by examining their own eye health. It takes a special tool to see eye health. The best advice for you is always checked by an eye doctor regularly once a year. You do not want your eyes hurt right? Choosing a contact lens takes precision. Do not just brand names, or select an affordable price only. Choose the best for your eyes. Contact lenses direct contact with the eye, so it should be more careful choosing contact lenses than ordinary glasses. Choose the best color that suits your eyes. But still do not ignore the quality. The sun is not only wicked on your skin. Eye also should not be exposed to direct light. That if you really love your eyes. Because UV radiation will give a bad effect on the eyes. Try using anti-UV sunglasses that protect your eyes from direct sunlight. Especially if you are doing activities outdoors. Just choose glasses that fit with the fashion trends. Healthy eyes, but still be stylish. Want healthy eyes do not forget that the consumption of foods or supplements containing vitamin A, C, E, Folic Acid, Selenium and Zinc. All the food and supplements can inhibit aging factors that also affect the performance of the eye. Your lights affect the health of your eyes. Attain your lights to suit your eye comfort while reading or working at the computer. Dark conditions and dimly lit very bad for you. Accelerate eye damage. Too light is also not good, because it makes a quick glare and eye fatigue. Therefore just set your light, not too dark or bright. Are important enough to help you see the best condition. Your eyes need a rest, like your other limbs. So when you sleep, use a light sleeper. Or just turn off your lights. It would be better if your eyes are already tired of a day in the dark condition. Will make your eyes more relaxed and fresh the next morning. 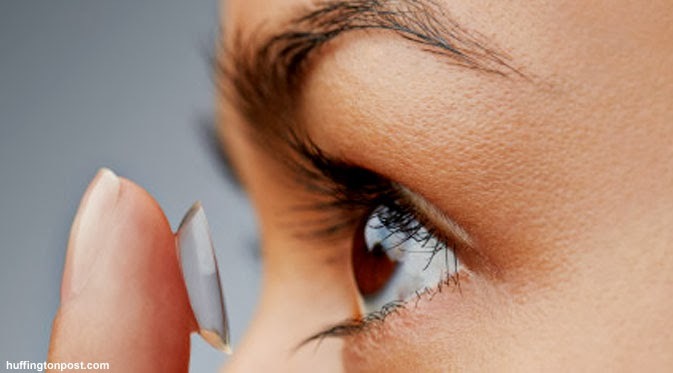 Each contact lenses have a lifetime. Avoid using too long. Loose if you do not need it, or when you are relaxing at home. Usage time is normally 12 hours a day. The rest do not force your eyes to work too hard with contact lenses. And do not forget, check its expiration date. Do not be force to use it, because there are time limits specified usage. Change new every month. Dust and other particles will stick on contact lenses, therefore, must be diligent to clean it with a special fluid. To guard sanitation.